The Olympia men’s track team had 6 entries in the 2018 Peoria Journal Star Track Meet on Monday at the Eastside Center. 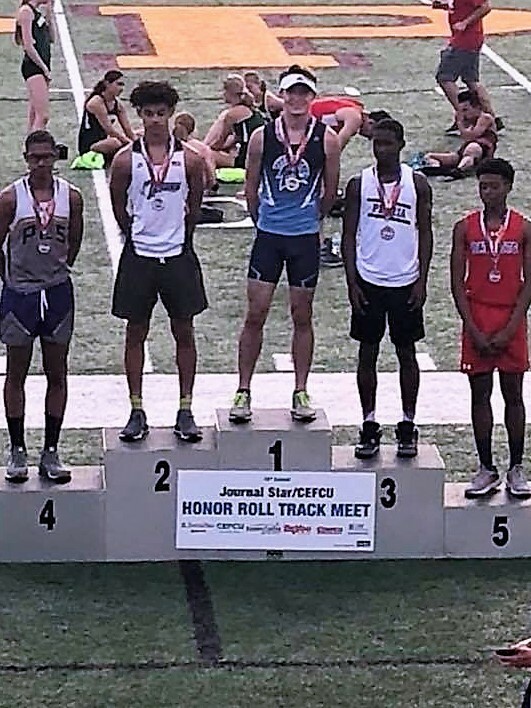 Jon Neville and Charlie Kistner both qualified to run the 3200 meter run and placed 9th and 11th respectively. 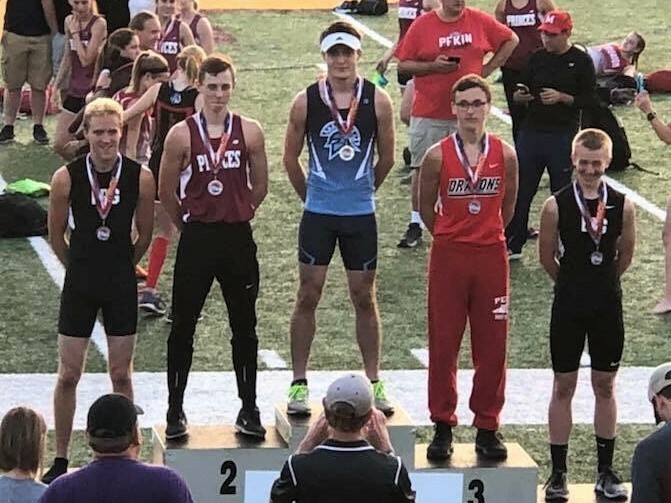 Dalton Spencer qualified in the 110 meter high hurdles and the 300 meter intermediate hurdles, finishing as the champion in both events. 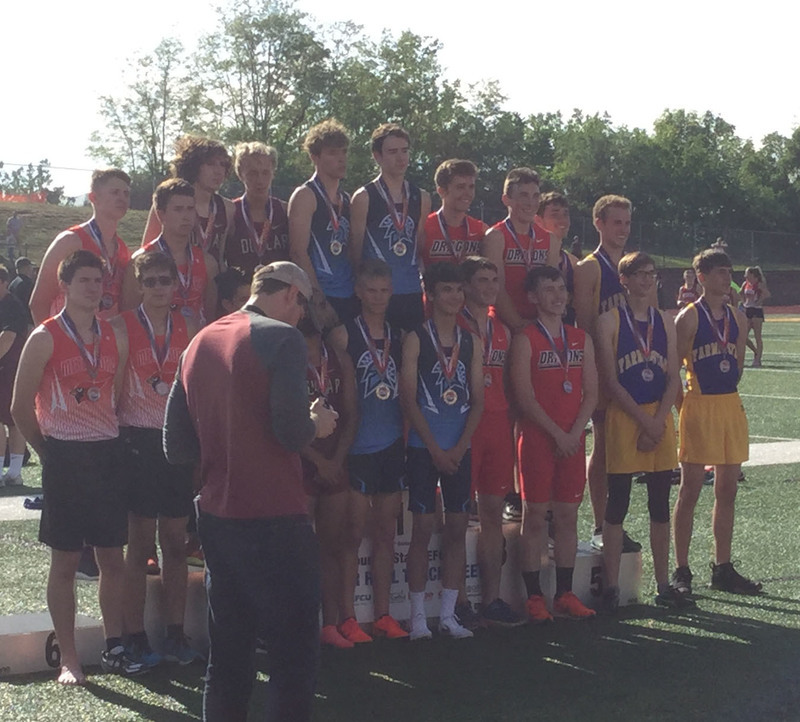 Logan Wheeler, Parker Kistner, Jake Spaid, and Grant Kessinger were champs in the 3200 meter relay and finishing out the evening, Grant Kessinger, Parker Kistner, Logan Wheeler, and Justin Siebert were runner-up in the 1600 meter relay with a season best time of 3:33.68. Jon, Charlie and all of the runners on these relay teams will be returning next year, so stay tuned for great things to come from the Olympia track team. 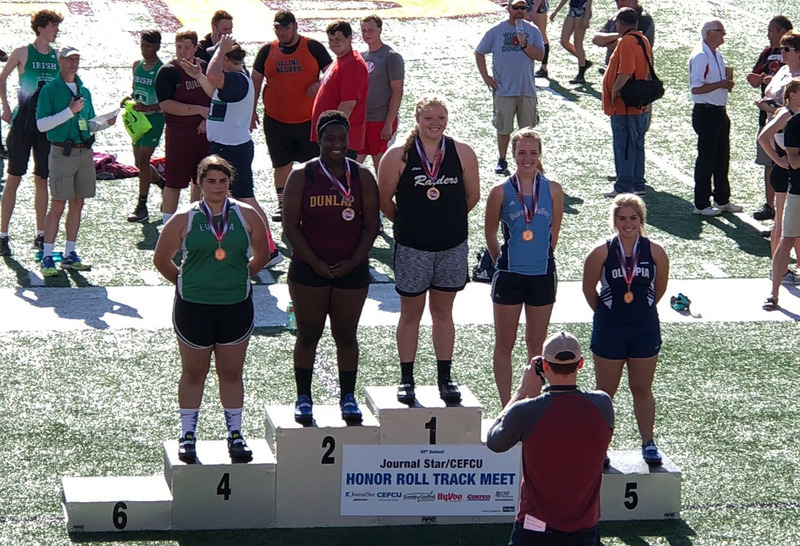 On the girl’s side, Lyndsey Sebok qualified to throw the discus and finished 5th place. Congrats to all of these athletes for their outstanding performances and for representing Olympia in such a fine fashion!